This is my first foray into the Spam & Trout, and yet another wonderful opportunity to play with printmaking. I used black ink to play up the contrast (I love contrast). 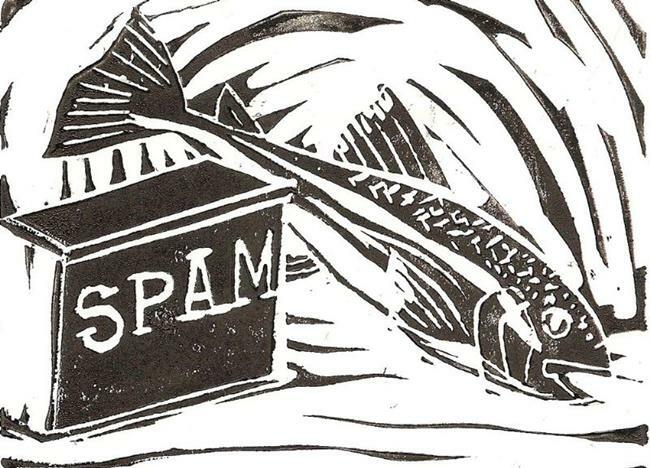 The image itself is inspired by the idea that even a living trout cannot escape Spam.